The Grounds department is responsible for performing maintenance, repair, and preventive care to the campus landscape and exterior facilities in order to provide an attractive, safe and well maintained outdoor environment for our community. 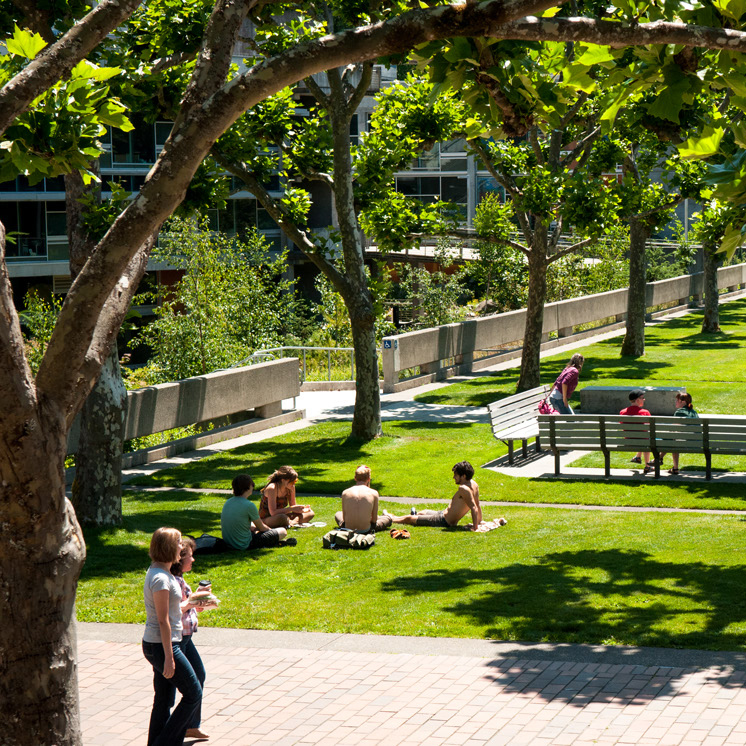 This includes mowing, fertilizing, weeding, planting, pruning, maintaining lawns, trees, plants and shrubs, construction and repair of landscape additions, installation and maintenance of irrigation and drainage systems, collection and transportation of campus recycling and refuse, maintenance of roads, walks and parking lots. The grounds unit is responsible for snow and ice removal and responds to all critical and weather related campus emergencies. As a residential campus, the college’s normal policy is to remain open during inclement weather. Individuals are to assess their personal safety before traveling to campus. For the Olympia Campus, the designated Vice President will make the decision to suspend operations or close all or portions of the campus. For the Tacoma campus, weather-related closures will follow the direction of the Tacoma School District. It is the employee’s responsibility to check with one of the available resources to determine if the college is open or closed before reporting to work. Resources include the e2 campus network, local radio and television stations, the college website, the college information line at 360-867-6000, etc. Every attempt will be made to make and communicate these decisions before 6:00 a.m. on normal class days including on weekends, and before 3:00 p.m. for evening classes. If the conditions where you live are such that you are not able to report to work or must report to work late, you should notify your supervisor as soon as possible. Evergreen’s situation is not the same as other educational institutions in the area. For instance, we have a large base of students living on campus, which is not true of many of the other institutions in the area. It is possible that Evergreen will choose to remain open on days when other institutions are closed. When the college is closed, no academic programs should be in session. However, on days when the college has chosen to remain open, faculty in some programs may decide not to have class. For instance, the faculty may know that there are a number of students driving significant distances to attend class, and may cancel class as a result.